Dr. Josephson’s work advanced the treatment for arrhythmias. Dr. Mark E. Josephson, a cardiologist whose research led to new ways of diagnosing and treating irregular heartbeats, treasured a sheriff’s badge that a patient at Beth Israel Deaconess Medical Center gave him. A native New Yorker known for his scientific brilliance and his biting wit, Dr. Josephson wore the badge while policing clinical research in electrophysiology and training new doctors in the field. He also was known for demanding rigorous science and delivering entertaining lectures sometimes spiced with playful insults. Dr. Josephson, who was emeritus chief of cardiology at Beth Israel and trained more than 200 electrophysiologists during his career, died from cancer Jan. 11 in his Brookline home. He was 73. In 1993, when Boston Celtics captain Reggie Lewis collapsed during a playoff game, other top Boston cardiologists diagnosed a fainting condition and eventually declared Lewis could continue playing. Dr. Josephson disagreed, and was tragically right. Dr. Josephson, who was a member of the “dream team” of specialists assembled by New England Baptist Hospital to assess Lewis, diagnosed the 27-year-old with a life-threatening arrhythmia. The cause of the damage to his heart could have been a virus but was ultimately unknown, Dr. Josephson found. According to friends and colleagues, Dr. Josephson once opined that he did not waver from his unpopular diagnosis because he came from New York area code 212, not Boston’s 617. He testified about his diagnosis during malpractice trials brought by Lewis’s widow against the other doctors. The jury could not reach a verdict in the first trial. In 2000, the second jury found by a vote of 13-3 that Dr. Gilbert H. Mudge Jr. was not negligent in his care of Lewis. The case drew a firestorm of controversy after Mudge’s defense attempted to argue that Lewis withheld information about alleged cocaine use. Dr. Josephson “wasn’t afraid to stick with his opinions. He was a great friend and a great aid during the trial,” said attorney Neil Rossman, who represented Lewis’s family. Dr. Josephson was the sole author of the guiding textbook in the field, “Clinical Cardiac Electrophysiology: Techniques and Interpretations,” first published in 1979 and now in its fourth edition. Born in New York City, Dr. Josephson was the oldest of three siblings and grew up in Teaneck, N.J. His father, Sidney, was an attorney who worked at the Securities and Exchange Commission. Dr. Josephson’s interest in medicine stemmed in part from his childhood, according to his sister Diane Dresdale of New York City. Their mother, Miriam, had open heart surgery twice and his father suffered from angina. “I think the fact that he couldn’t save his parents just instilled this dogmatic drive to find answers,” Diane said. Dr. Josephson graduated in 1965 with a bachelor’s degree from Trinity College in Hartford and served as a medical officer during the Vietnam War. He received a medical degree from Columbia University College of Physicians and Surgeons in 1969 and completed his residency at Mount Sinai Hospital in New York. After medical school, Dr. Josephson began his research into electrophysiology while at the US Public Health Service’s hospital in Staten Island, N.Y. His research led to techniques for catheter mapping of the heart, which form the basis for treatments used today to treat arrhythmias. During his career, he wrote hundreds of articles for medical journals. Dr. Josephson, who joined the faculty at Penn in 1975, was 38 when he was named chief of cardiology at the University of Pennsylvania in the early 1980s. 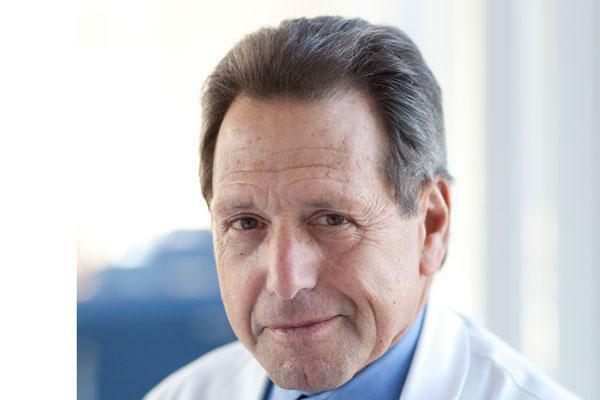 In 1992, he was recruited to Beth Israel and was named chief of cardiovascular medicine in 2001. He retired in 2015. Dr. Josephson was married 48 years to the former Joan Eisenberg. They met at the wedding of one of his cousins. The Josephsons had two daughters. Mrs. Josephson was 72 when she died of pancreatic cancer in June 2016. In addition to his daughter Rachel and his sister Diane, Dr. Josephson leaves his other daughter, Stephanie of Philadelphia; his brother, Alan of Springfield, Ill.; and three grandchildren. According to Dr. Josephson’s sister, he linked his cancer to asthma treatments he received as a boy in the late 1940s at a special clinic in Mississippi. Those treatments, he said, included arsenic. He developed bladder cancer almost six years ago and immersed himself in fighting the disease. “He went down with his middle finger up. He was so not interested in dying,” said Rachel. Dr. Josephson, she added, was buried with his sheriff’s badge.